In October of 1992, a long-haired, erstwhile rock star boarded a cruise ship and sailed towards the Virgin Islands. That would-be guitar god was me. An unrefined and generally self-absorbed bit of stock I was. And granted. I was non-refined enough to recognize a wine snob from thirty feet away, but that did not stop me from trying all the little things they were handing out. I actually had fun, swirling my glass like the bedecked Tartuffian next to me, and acting like I knew things like “Bouquet” and “movement” and such. When in reality, I was just repeating the stuff the snobby gold-maven next to me was saying. But they also gave you access to these crackers between their little screeds about the wine and cheese allotments, called a “Palette cleanser.” And even though I hated wine, and actually never did really ever drink it during the days I still DID drink anything, I did see the purpose; it would kill the previous taste reference, and allow me to taste the next item, free from the contamination a of the previous. So the other day, I lent my friend Greg Flannery O’ Connor’s A Good Man Is Hard To Find. After having digested a few of those stories for a few days, he asked me the most revelatory of questions. And BAM! It hit me: that is exactly why I can read a 300 page book about Auschwitz without a hitch, but I have to piecemeal Flannery in the most punctuated and gap-laden of fashions; her stuff is just that indelible. I’m not sure it’s possible to figure out how she did it, either. At least I’m not snobby enough to think I can . . . 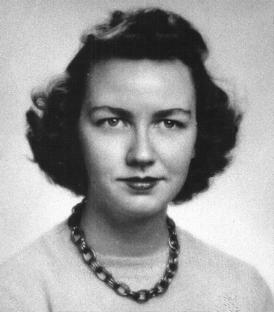 This entry was posted in Book reviews, Books, Reading, Writing and tagged Flannery, good man hard to find, O'Connor. Bookmark the permalink.